99th | Victory - Honor God. Make Disciples. We are Now in San Antonio, Zambales! 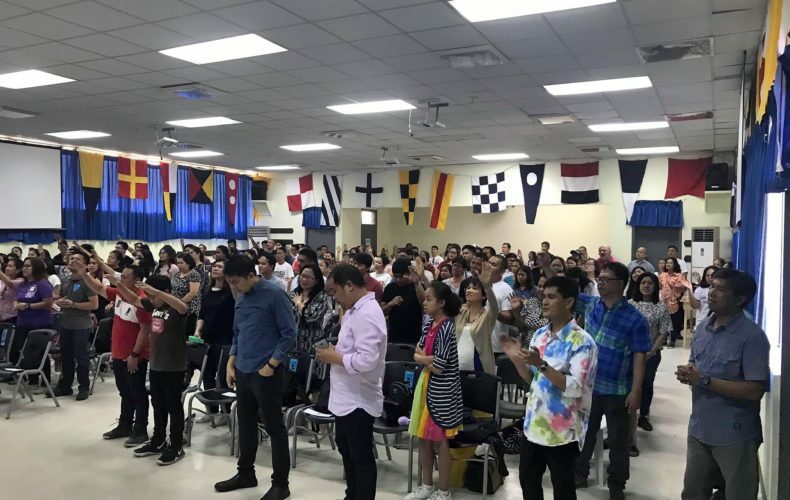 We officially launched our church in San Antonio, Zambales on April 7, 2019! We now hold worship services every Sunday at 4:00 p.m. at the Victory San Antonio Center located at the 2nd floor of The Money Tree Building in Brgy. Rizal, San Antonio, Zambales. Here’s how our 99th church outside Metro Manila began. The idea and burden of planting a church in San Antonio, Zambales came about in 2014. During that time, we were praying and contemplating on where God wants us to plant another church after Subic. To respond to this call, our lead pastors in the area gathered together and prayed for a clear direction from God. In 2015, while one of our pastors was visiting a friend in San Antonio, God planted a burden in his heart to pray for that municipality. Since then, he—along with other leaders in the area—sought God in prayer, met with several families, and built relationships with people who eventually helped us establish the church. Now, the church is ready to be used by God in ministering to the people of San Antonio and all of Zambales. San Antonio is a first-class municipality with many young people who need to hear the Gospel and know their identity and destiny in Christ. Thus, we envision that our new church plant in San Antonio will reach the youth and help train them to be radical leaders for Jesus: future leaders who are passionate about honoring God and making disciples. Knowing that there is still more to be done in this municipality, we are praying for a great harvest among the youth of San Antonio this year. We are also believing for open doors to minister to the locals through our Victory groups, discipleship classes, and other events. We are also excited to see more students come to know Christ through our campus initiatives and the church plants we hope to do in all the towns of this province. God is, indeed, doing a mighty work in San Antonio, Zambales. Let us join our new church plant in prayer and believe for greater things as more and more people are coming to know Christ in this municipality. Would you like to attend any of our worship services? Check our directory to find a church near you!